Houston put their Passion into Action for NUSA! What a great time we had in Houston! 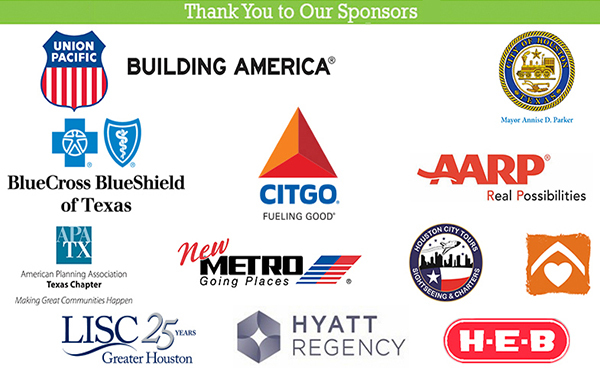 Celebrating the 40th annual conference in Houston proved that everything is bigger in Texas. With more 900 attendees, including 150 plus youth participants, the conference was NUSA’s largest in nearly a dozen years. We all enjoyed the excitement of being in downtown Houston with its combination of gleaming office towers and turn of the century historic buildings. The historic Julia Ideson Library building adjacent to the iconic art deco City Hall building was the perfect location for Mayor’s reception. As Mayor Annise Parker, winner of the 2014 Who’s Who in America’s Neighborhoods awards, noted, “cities have to be able to see into the future but also embrace the past. NUSA is a place to get ideas, refresh, and recharge.” Great workshops and the 16 Neighborhood Pride Tours showed us all how Houstonians put their passion into action every day. To commemorate NUSA’s 40th anniversary, conferees took the conference message of passion into action to heart and donated more than one thousand books to the Neighborhood Centers, Inc. library for under-served children. You made a difference with your gifts and you made a lasting impact on Angela Blanchard, CEO of Neighborhood Centers, Inc. with your generosity.